Teuane Tibbo, who began painting at the age of 69, was one of the earliest Pacific painters recognised by New Zealand’s mainstream art scene. 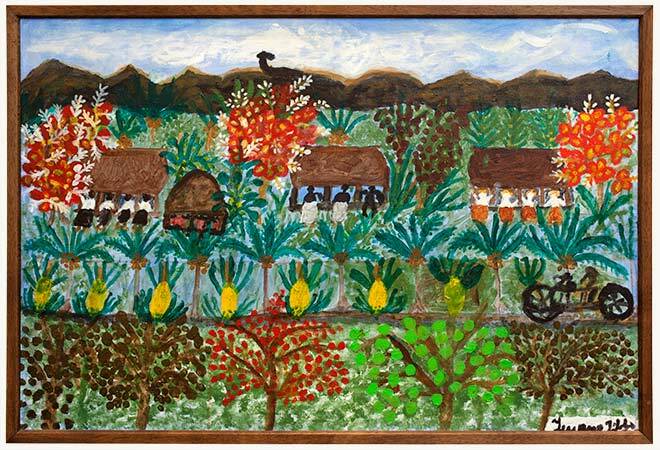 The rich colours and naïve style of this painting, 'Samoan village scene', is typical of her work, which was influential in the 1960s and early 1970s. Tibbo grew up in Samoa. She lived in Fiji with her second husband, and with her family (which included eight children) moved to New Zealand in her 40s.